Prior to the exhibition, the AR, VR and MR conference and a host of other events will take place. For the full list of events, please click here. An easy way to reach the centre is to take the San Francisco Bay ferry service, which connects you to 9 terminals around the Bay Area. The Moscone Centre can be easily accessed via taxi, buses or the subway from these terminals. BART is a great light train service that takes you to Powell Station, which is walking distance from the centre. Should you require further information about the venue, please visit the Moscone Centre page. 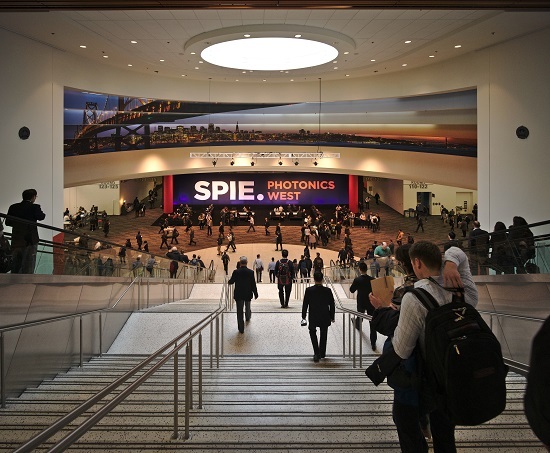 SPIE is the society for optics and photonics. The international society, since its inception in 1955 has been dedicated to the advancement of light-based technologies. The society organises approximately 25 major exhibitions, technical forums and education seminars across the world each year. There is a range of different pricing options for the event, depending on which part of the event you want to attend. A complete list of these options is available on this page. We will be exhibiting our latest Pulsed and CW fiber laser products on booth #1068 at Photonics West. Come and see our redENERGY 200W EP-Z Pulsed fiber laser on stand and ask our experts what makes this product perfect for welding and marking applications. Also on stand we be our redPOWER QUBE 2kW CW fiber laser. With its back reflection and piece detection technology our QUBE product range give a leading edge advantage. The event is a great opportunity for interested participants to explore the new laser technology products developed by our company. To know more about SPI lasers and its worldwide locations, please visit this link. Below is a list of our SPI Lasers team members who will be attending this years Photonics West, see them on booth #1068 where they will be ready to answer any questions you may have on fiber lasers and how they can improve the profitability of your business!